“I have been living in a cave for five years and I wouldn’t live anywhere else! My cool cave can be found in the beautiful village of Galera in the Granada Province of Spain.” Says Les Edwards, a niche real estate business owner. I can almost guess what is going through your mind as you read this – he lives in a dark, damp, dirty hole in the ground so why tell the world about it! Well, his one of a kind rural property in Spain is a cave house, it has three bedrooms, is comfortable and very modern in all but appearance – similar to a whitewashed country cottage. Just to show you how modern a cave house can be, Les has satellite TV, satellite internet, telephone, mains electric, mains water and mains sewerage. The rooms are dry, many have large windows to let in natural daylight and, importantly, in this extreme climate of hot dry summers and cold mid-winter nights the cave home keeps an even temperature all year round thanks to it’s natural geothermal heating for the winter and cooling for the summer. 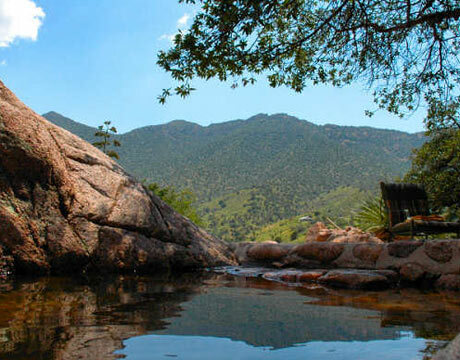 Because his cave house is built into the west side of a hill he has the most spectacular views stretching many miles to the Sagra Mountains and for three hundred days of the year he watches the sunrise as he eats his breakfast. Cave houses in some parts of Spain have been home to man for thousands of years. Their popularity has risen and fallen as the centuries passed, today demand is soaring. Many people, both Spanish and other nationalities, are looking for a different lifestyle and homes that are affordable and eco-friendly and with modern technology and a good architect you can turn a cave into the perfect home. Most modernised cave homes consist of two parts, the part that is cave and built underground with conventional rooms built onto the front. In this way you get the best of both worlds. 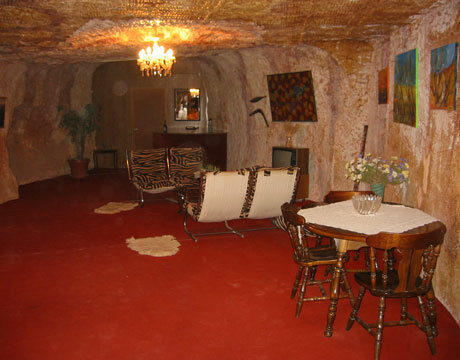 So cave houses have light, airy living rooms to the front and cooler cave bedrooms to the back. 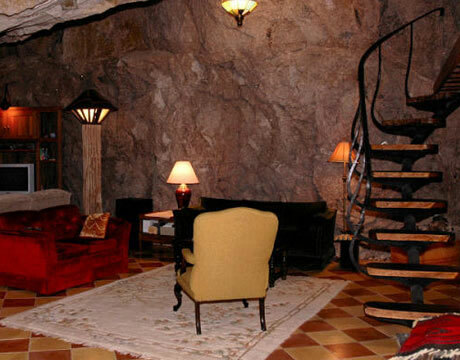 Almost everyone loves to sleep in the cave rooms, they are quiet, fresh, dark and natural. Many people state that their cave bedrooms have a calming effect, connecting with inherited memories from our earliest creation. This sense of tranquillity induces a deeper sleep resulting in improvements in both physical and mental health. A cave house is significantly cheaper. 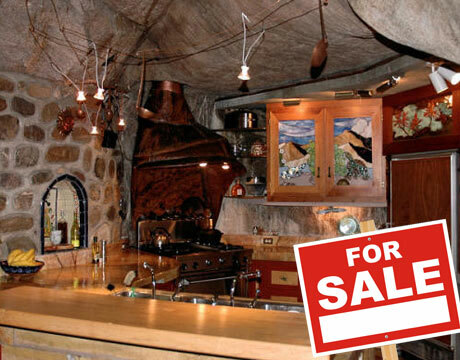 Cave houses are 20 to40% cheaper than an equivalent conventional property. As examples, it is still possible to buy a three bedroom cave house, fully modernised for under 100,000€ and four bedrooms for 115,000€. Each cave home is uniquely in its design. 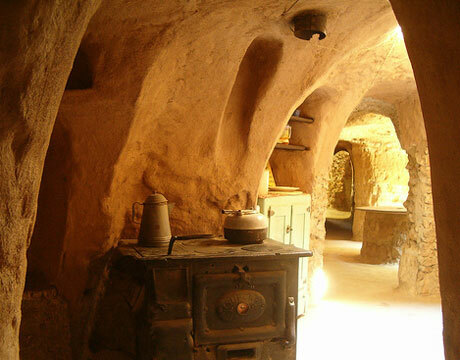 Almost all the modernised cave homes have been rebuild from much older dwellings, originally hewn out by hand one or two hundred years ago, as a result no two caves homes are alike. There is no danger of ending up with a home exactly like that of your neighbours. Because the cave rooms are sunk into the rock they maintain roughly the same temperature summer and winter, between 13 and 18°C. There is absolutely no need for air conditioning in the summer and winter heating requirements are significantly lower than in conventionally built houses. As a result power consumption and costs are much lower. Recently renovated cave houses can come with double block cavity insulated external wall, double glazed windows and extra roof insulation making them beautifully cool in the summer and cosily warm on those winter nights, providing additional comfort and economy. They have a quaintness and charm rarely found in so called “modern properties”, yet they have all the facilities you expect from a new home. Electricity, mains water, mains sewerage, telephone, satellite TV and broadband Internet are all available enabling you to have the best of both worlds. Low maintenance is another benefit. With few external walls and often no roof to worry about, maintenance costs can be kept to a minimum. Les states he can easily sleep at night, close to nature and knowing his eco-home didn’t cost the earth.